Are you looking for an all-around quality desktop that costs less than $1,000? With features like dedicated graphics and powerful processing power, it’s easy to do work and enjoy multimedia on the Lenovo IdeaCentre 720. It’s available with two configurations, one with an AMD Ryzen processor and one with a 7-generation Intel Core processor. While it has better use as a home computer, you can use it for productivity and schoolwork as well. The great thing about this series is that it is so versatile. The tower not only looks nice, it’s also designed for easy access to the interior so that you can switch out hardware or put new parts in. Simply remove the rear cover by hand whenever you need add or replace the memory, processor, graphics card, storage, etc. It can all be done without tools. The Performance PC version of the 720 is certified Oculus VR ready with its NVIDIA GeForce GTX 1050Ti video card (4GB). All you have to do is plug in the VR headset and get started. With the AMD version of the 720, you get AMD Radeon RX 550 graphics (2GB), which works efficiently with its AMD Ryzen processor. You get all of the ports you could ever need regardless of which version of the Lenovo IdeaCentre 720 desktop you choose. There are USB 3.0 ports located in convenient spots on the rear and the front. Additionally, there are two USB 2.0 ports, VGA out, HDMI out, 7-in-1 card reader, audio and microphone jacks (2), audio 5.1 jacks (3), and Gigabit LAN RJ45. With all of these ports and outputs, you can connect everything from keyboards and printers to high-definition monitors and VR accessories. There is reasonable storage space with the base configuration. A 1TB hard drive (7200-RPM) provides enough storage for most users. However, there is room for more if you wish to expand. Add a Solid State Drive if you want more speed (up to 128GB). In addition to the hard drive, there is also a DVD recordable drive. The DDR4 memory is expandable up to 12GB (2400 MHz). The Lenovo AC Wireless card will keep the desktop connected to your home or office Wi-Fi network. It is backwards compatible. Your Bluetooth needs are taken care of via Bluetooth version 4.0 technology. An optical mouse and USB-compatible English keyboard come included with the Lenovo IdeaCentre 720. It is a very nice desktop. No matter how you choose to configure it, you can get a lot of performance and speed out of the machine. 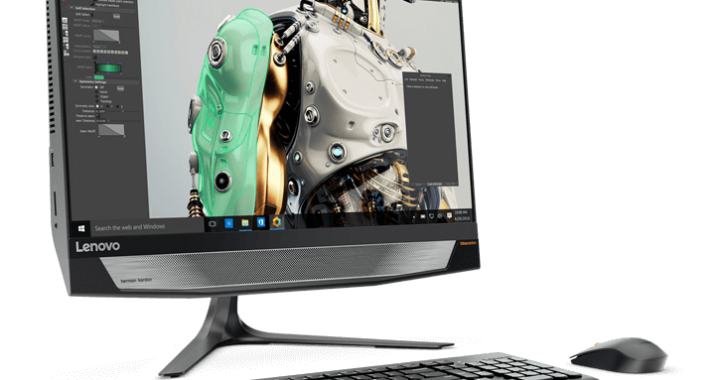 Smooth performance, no bloatware, fast processor: just about any Lenovo IdeaCentre 720 review you read will point out these pros – and more. Perhaps the best thing about it is that it’s affordable. Get this budget PC for even less with the use of Lenovo coupons. 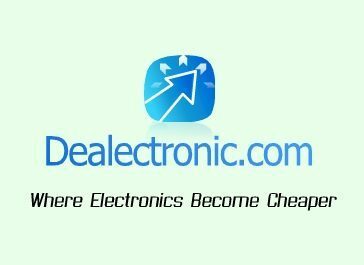 Posted in Desktop Reviews, Lenovo Desktop Reviews, Lenovo PC Reviews and tagged desktop, lenovo, lenovo desktop, lenovo ideacentre 720.